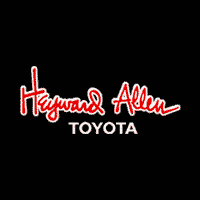 Why Buy Toyota Certified Vehicles from Heyward Allen Toyota? It stands to reason that the better a product is made the longer it will last, which makes getting a high-quality, low mileage Toyota at a great price a very savvy move. Toyota’s timeless commitment to quality, innovation and durability is the foundation upon which the Toyota Certified Used Vehicles (TCUV) program launched in 1996. With each passing year the TCUV program has gained momentum – totaling over three million sales and counting. Along with industry-leading heritage comes another advantage; an exceptional coverage policy. With a 12-month/12,000-mile Limited Comprehensive Warranty a 7-year/100,000-mile Limited Powertrain Warranty plus one full year of Roadside Assistance, honored at more that 1,400 Toyota dealers in the U.S. and Canada, we’ve got you covered. Standard New-Car Financing Rates Available. Reconditioned to Toyota’s exacting standards by Toyota factory-trained technicians. 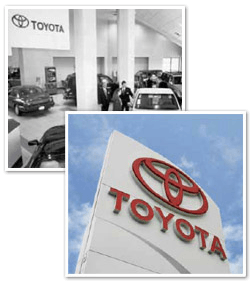 Warranty honored at over 1,400 Toyota dealers in the U.S. and Canada.